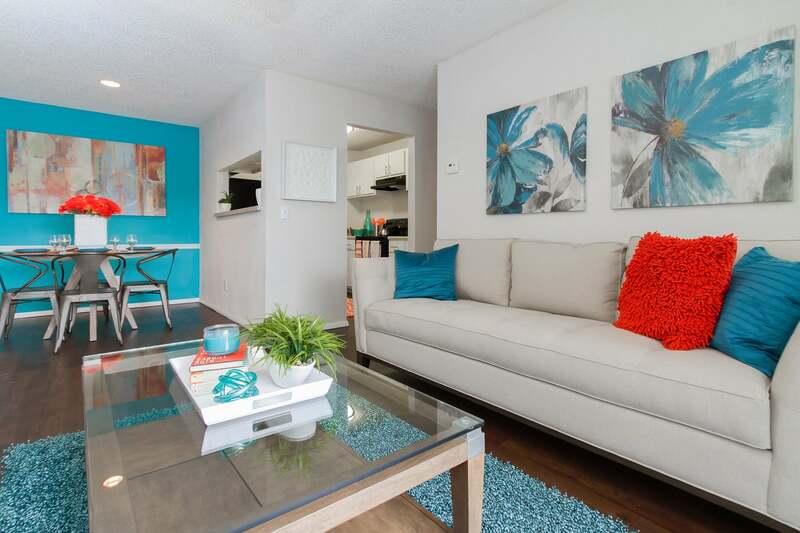 Palms at Beacon Pointe are redefining apartment home living in the Arlington area of East Jacksonville, FL. 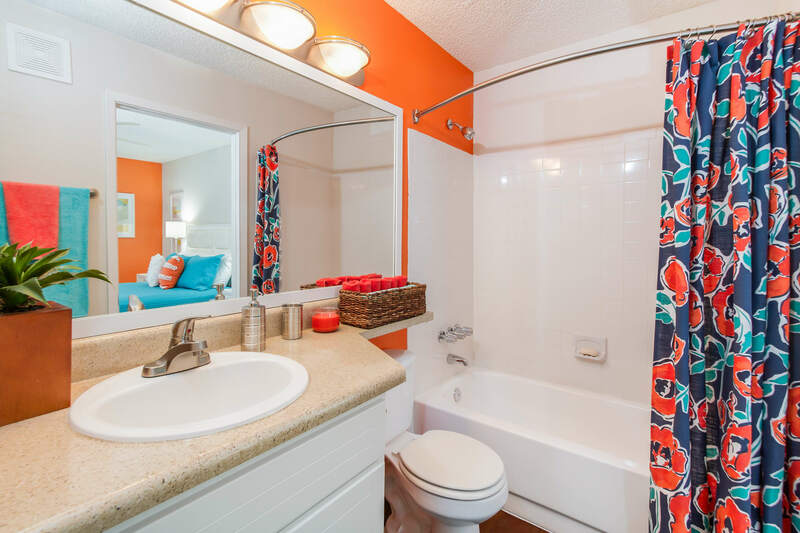 Our newly renovated community features spacious one and two bedroom apartments apartments equipped with all the comforts you crave when you come home, including upgraded plumbing and lighting fixtures, wood-like plank flooring, ceiling fans and spacious walk-in closets. Our homes offer 2" plantation style blinds, as well as cozy fireplaces, vaulted ceilings and full-size washers and dryers, in select homes. Enjoy a kitchen that a chef would envy, whether you are cooking for one, or the whole family. Kitchens feature designer cabinetry with brushed nickel pulls, newly refinished countertops, and updated appliances. No matter the convenience you are looking for, we have it. 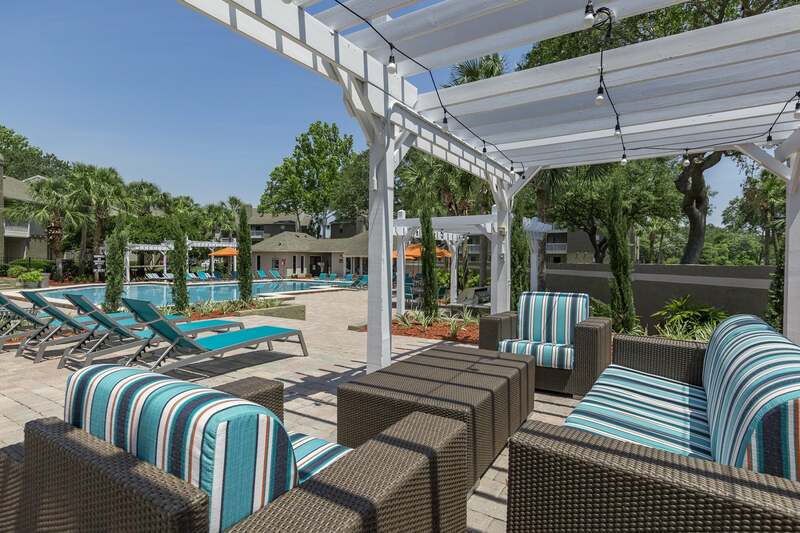 If you love to be outdoors and Florida sunshine, then Palms at Beacon Pointe is the place for you. 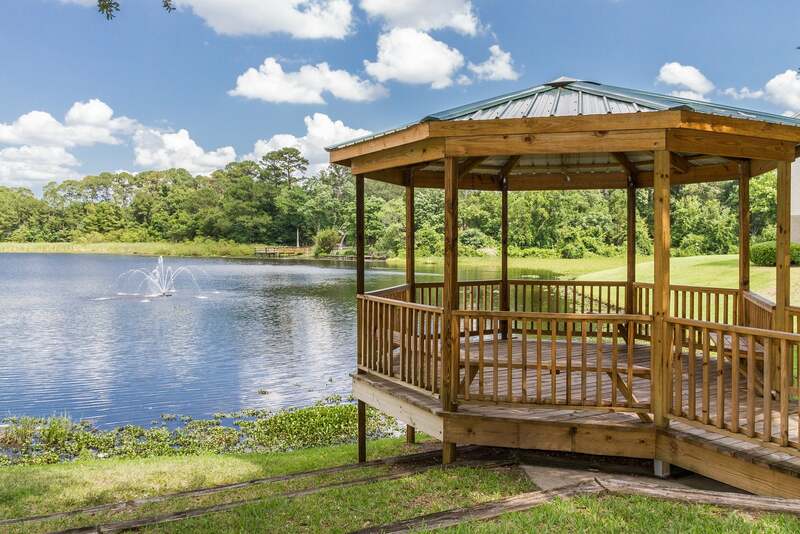 Our pet-friendly community is set beside an 18-acre lake with lighted fountain – take in stunning sunrise views from our lakeside gazebo. Our luxuriously renovated clubhouse offers free WiFi and a phenomenal 24-hour state-of-the-art fitness center. 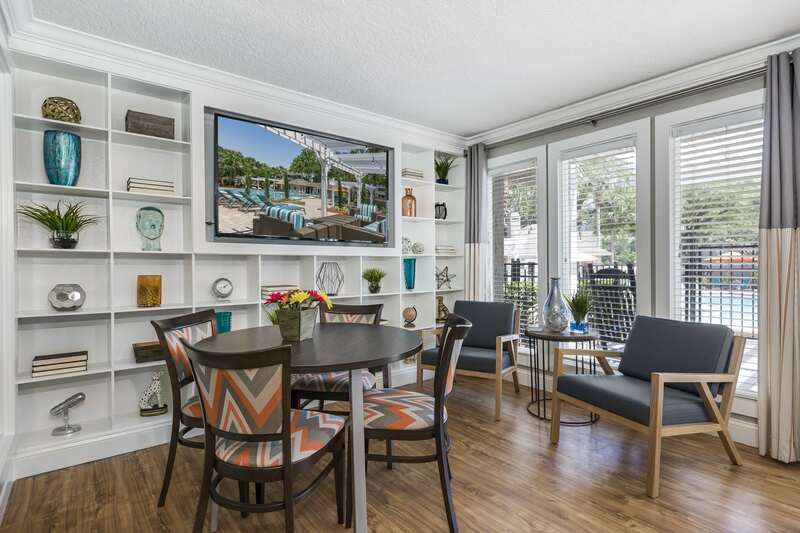 Other amenities include a newly refurnished resort-style pool, with a sundeck and BBQ grills for summer fun, and a bark park with agility equipment for you and your four-legged friends to enjoy. With new on-site professional management, Palms at Beacon Pointe is waiting to cater to all of your lifestyle needs. Located just minutes from Downtown Jacksonville, Palms at Beacon Pointe offers access to endless shopping, dining, and entertainment – from St. Johns Town Center, Cinemark Tinseltown to Regency Square Mall. Just a short drive away, you’ll find Dog Wood Park, a 42- acre swim and play park for dogs, as well as Jacksonville’s beaches. 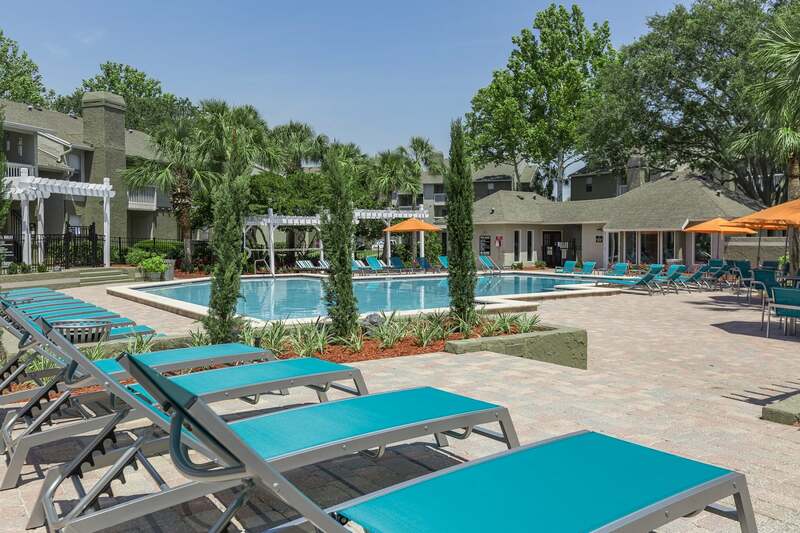 Residents can also take advantage of convenient access to I-295, I-95, The University of North Florida, Jacksonville University.